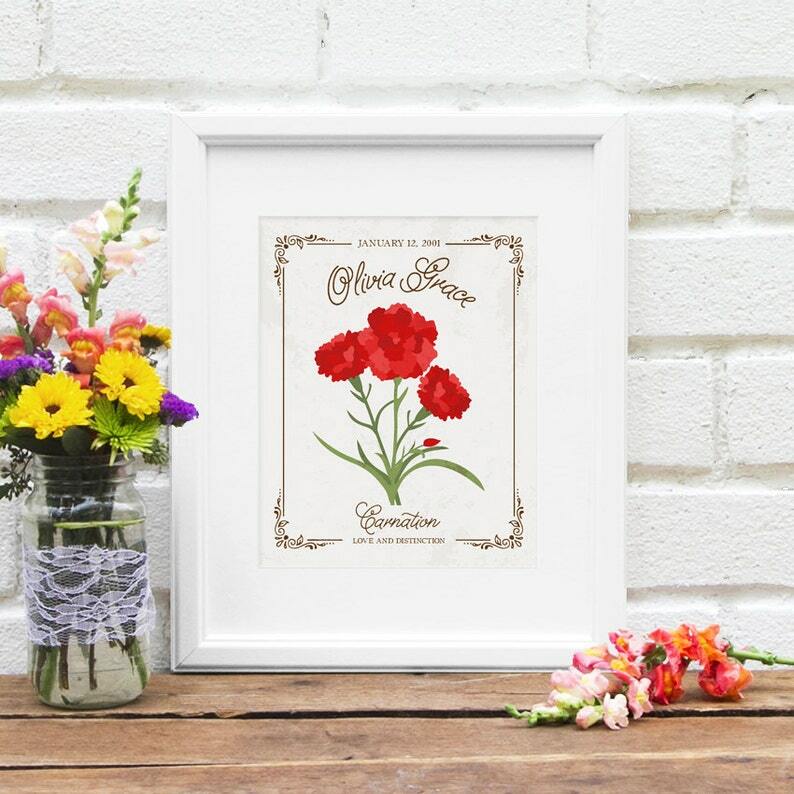 A great gift for any new mom as nursery art, a unique baby shower gift or birthday gift for that special woman in your life, this illustrated art print represents the birth month flower of your choice in a vintage-inspired botanical print. Personalized with a name, birth date, flower name and characteristic. Order more than one and display in multiples representing all the birthdays in your family! These are subtle yet full of meaning and sentiment.